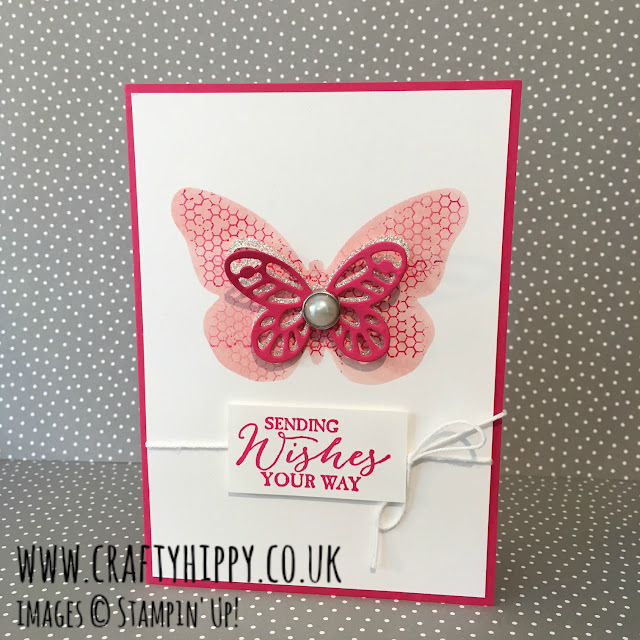 Today's blog post features a pink version of my Butterfly Basics Simple Card - this is an exact copy except I have used the Melon Mambo Classic Stampin' Pad and Cardstock instead of Night of Navy. Doesn't it look different? It's amazing what a change of colour will do. I simply created a mask using the Bold Butterflies Framelits Dies and then sponged and stamped. Then I layered the smaller butterflies (cut with the smaller die) over the top, finishing off with a Metal Rimmed Pearl. I love these and they'll be carrying over into the new catalogue. 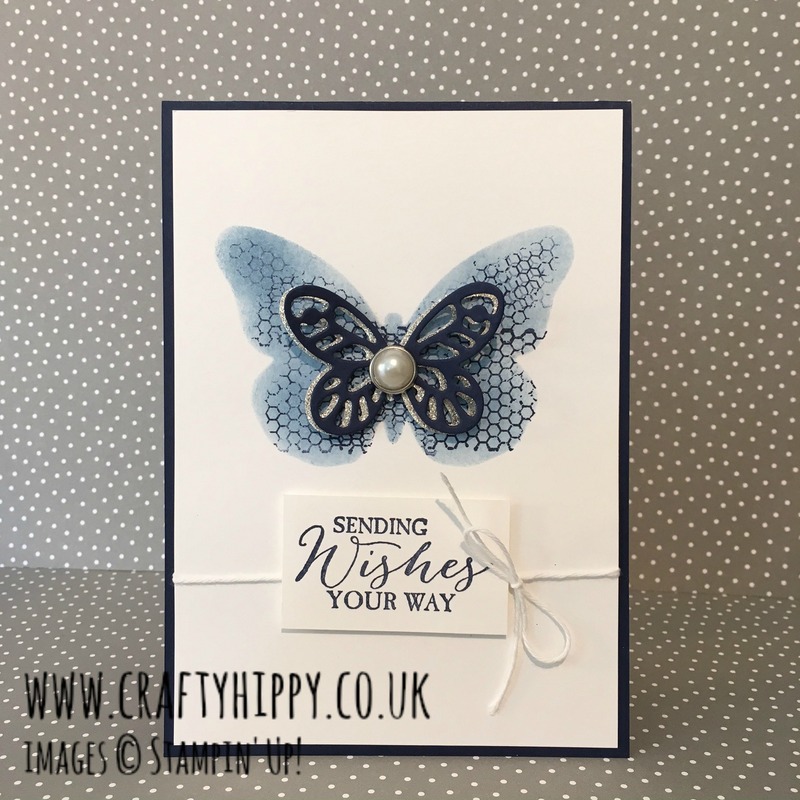 If you go through to my Youtube Channel you will find the video for making this card (No.6). I'll be back tomorrow with another project for you to copy and share.